Seven social organisations have called for Karbi Anglong bandh on January 25 from 5 am to 5 pm in protest against the Citizenship Bill. 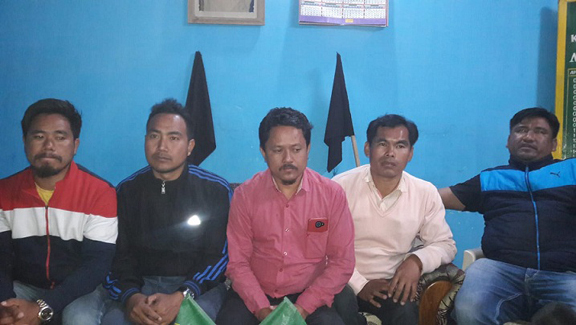 In a press conference held at the office of the Bijoy Bey faction’s office of Karbi Students Association (KSA) here at Rongthe-ang, KSA president Bijoy Bey said the people of Karbi Anglong should extend support to the bandh against the Citizenship (Amendment) Bill, 2016. “There are a lot of people who do not know anything about the Citizenship (Amendment) Bill. If the Bill is passed and implemented it will be effective all over India but the greatest damage will be done on the backward indigenous people,” said bey. He also said, “The other communities, who are advanced, will cope with it but we will not able to do so. We will be the major losers and we should know that. The seven organisations which are sponsoring the bandh are Karbi Students’ Association, Dimasa Students’ Union, Karbi Students and Youth Council, HTL, Karbi Students’ Union, Karbi National Assembly and Karbi Farmer Association.